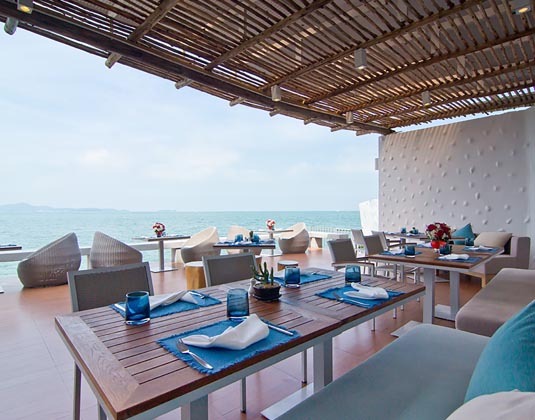 Experience a tropical ambience throughout this 64 acre beach resort overlooking the turquoise Gulf of Thailand. 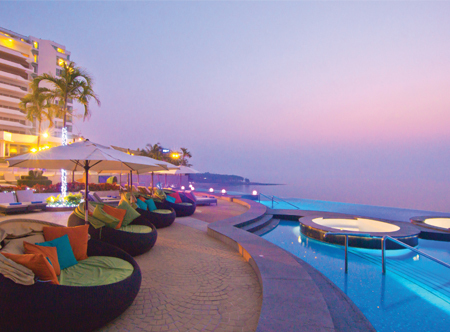 Consisting of separate hotels, each with its own ambience and character, guests can enjoy a diverse range of amenities along with a choice of eleven restaurants with cuisine from around the globe and seven lively bars. Royal Cliff Beach Hotel Vibrant and lively, this 474 room hotel is in the heart of the Royal Cliff Hotels Group and provides exceptional value. 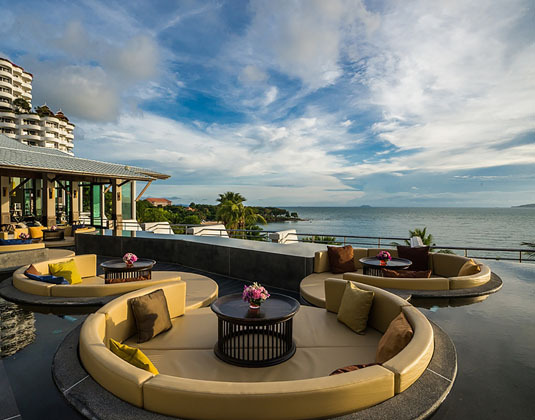 The hotel features a wide range of accommodation, a modern ambience and superb leisure facilities including an amazing infinity edge pool overlooking the gulf of Thailand. Accommodation: In mountain view mini suites with air-conditioning, bath, raised living area, mini bar, safe and balcony. 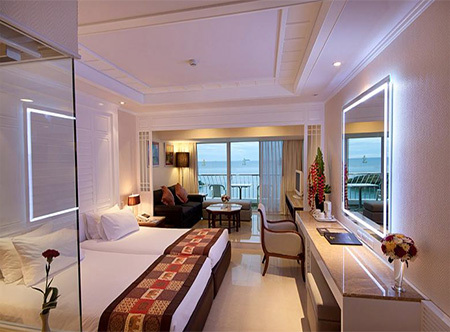 Royal Cliff Beach Terrace This low-rise boutique resort offers 89 rooms and suites in exotic Thai style. Built directly into the cliff face and surrounded by tropical shrubbery it provides a private sanctuary which is ideal for couples or families. Accommodation: In honeymoon deluxe rooms with air-conditioning, bath and separate shower, lounge area, mini bar, safe and balcony with sun loungers. Royal Cliff Grand Hotel A modern architectural wonder, the Royal Cliff Grand Hotel fulfills every expectaction implied by its name, from the sweeping curves of its seafacing balconies to the impressive atrium lobby. Guests of this 372 room hotel also have sole use of a free form landscaped swimming pool with jacuzzis and sun deck, while also enjoying the luxury of other privileges and exclusive services. Accommodation: grand sea view rooms with air-conditioning, bath and separate shower, mini bar, safe and balcony or terrace with sun loungers. 1 hour 30 minutes from Bangkok Suvarnabhumi airport. 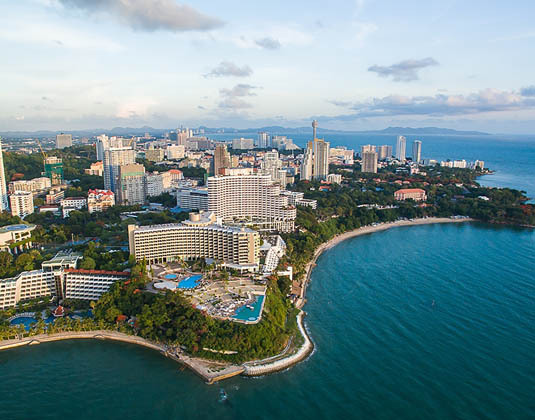 01 Apr-30 Sep 19 Maximum 6 free nights. May not apply to all room types. 01 Apr-30 Sep 19 if you book by 31 Mar 19. 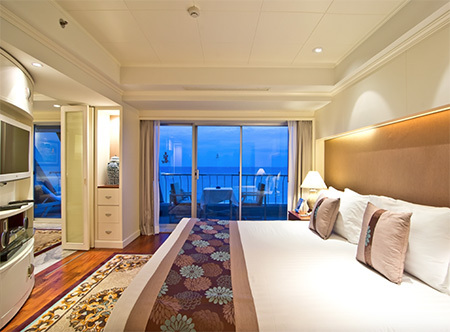 Maximum upgrade to a Grand Sea View Plus at Royal Cliff Grand. 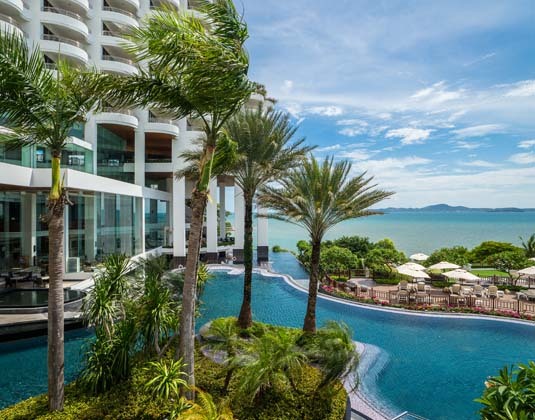 01 Apr 19-31 Mar 20 receive flowers, an exotic Thai fruit platter, a small cake, guaranteed king size bed and special flower petals bed decoration on arrival. 01 Apr 19-31 Mar 20 if you stay at least 10 nights receive one free Saturday BBQ dinner per person per stay.